The Easter Story is central to the Christian faith, and one that we can find difficult to navigate with children. Lent is the season of preparation for Easter and lasts for 40 days, beginning with Ash Wednesday and ending on Holy Saturday - the day before Easter Sunday. 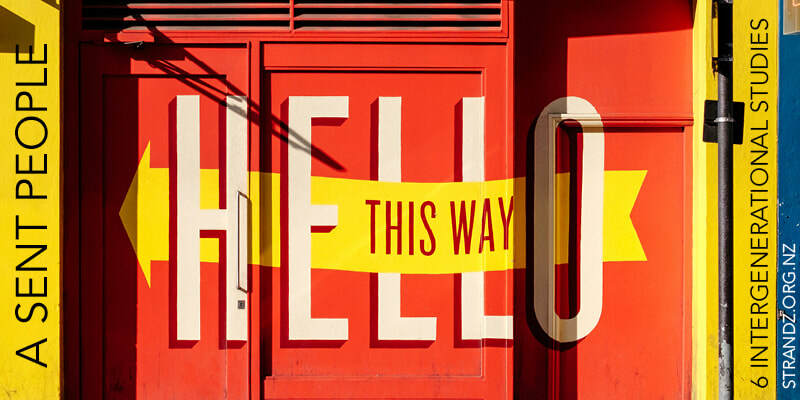 Here are some ideas to help you journey through lent, reflect on the events of the crucifixion, while celebrating the joy and wonder of the resurrection. What do pancakes have to do with Lent? 40 Acts: Do Lent Generously - 40 days of giving back, doing good and living generously. Flame Creative have made booklet to help families engage with Lent. 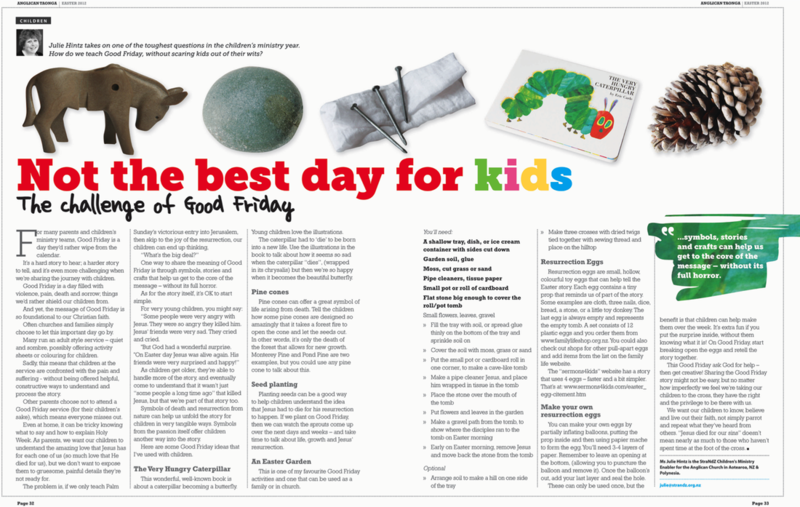 Messy Church Palm Sunday ideas, including edible donkey poo and 'palm sundaes'! The Bible Society are giving out 85,000 copies of this beautiful story this Easter. 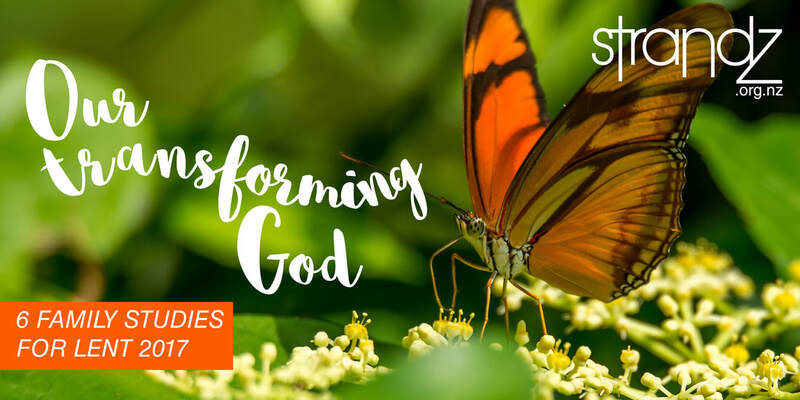 Our friends in the Children and Families team at SUNZ have put together a whole host of Easter resources on their blog, including a 'Journey to Easter' with reflections on the journey Jesus made to the cross. 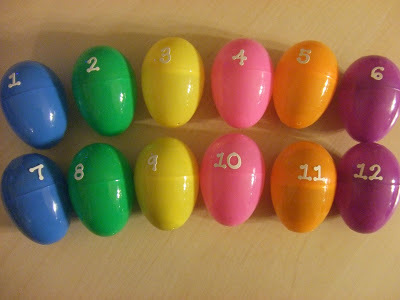 The Faithful Families website outlines a great way to get the whole family engaged in the journey of Easter week - includes daily stations/symbols, and questions to ask your kids each day. An All Age service from BRF for Good Friday - traditionally a sombre and difficult service to include kids at. A stunningly illustrated video from Grace Vineyard retelling the story of Good Friday, told by children in Christchurch. 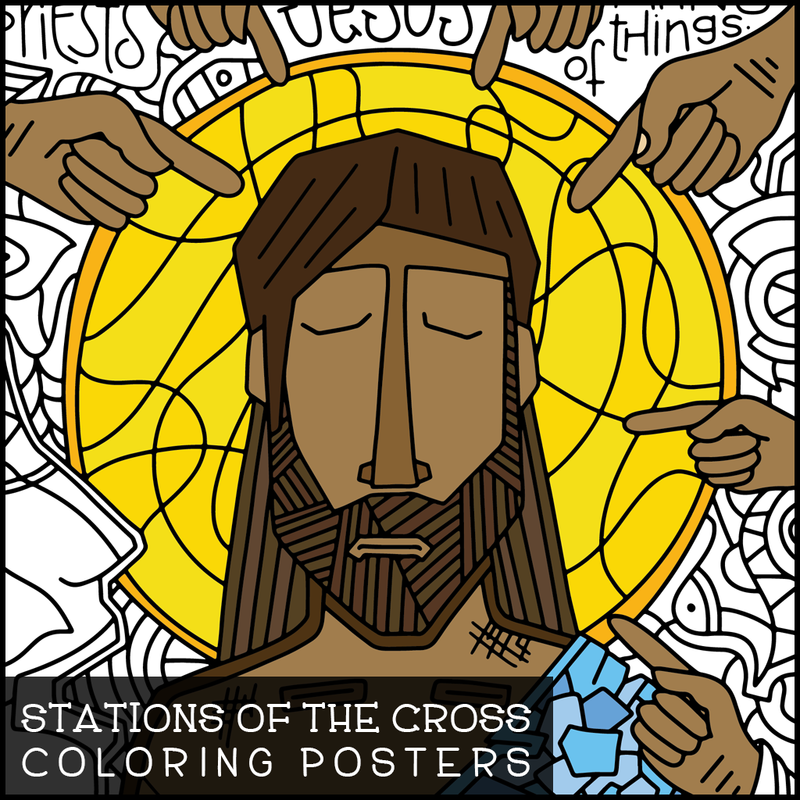 Illustrated Children's Ministry Stations of the cross - colouring posters and a devotional. Stations of the Cross video - narrated by children, from the Episcopal Diocese of Texas. "This is a very sad story. It is about the one day in Jesus' life, so its not the whole story about Jesus. Even though the story has a happy ending, it is important to remember what happened on that day"
Using symbols to unpack the Easter story - a creative way to engage children of all ages. Symbols could include a leaf, donkey, small cup, coins, thorn, fabric, nail, dice, cross, stone, and the last one is empty.